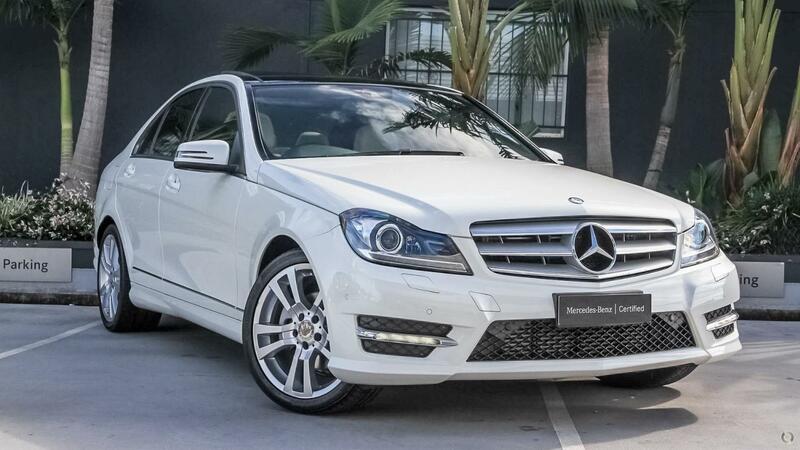 This Certified Mercedes-Benz C250 'Edition C' petrol Avantgarde sedan is finished in Diamond White Bright with Beige Leather trim. Key features include panoramic glass sunroof, Intelligent Light System with adaptive high beam assist, AMG body styling, electric front seats with memory, and electrically adjusted steering wheel. Featuring a powerful yet refined petrol engine, this model also features reversing camera with front & rear sensors, COMAND multimedia system with navigation, Bluetooth connectivity with audio streaming, 18" alloys, and so much more.